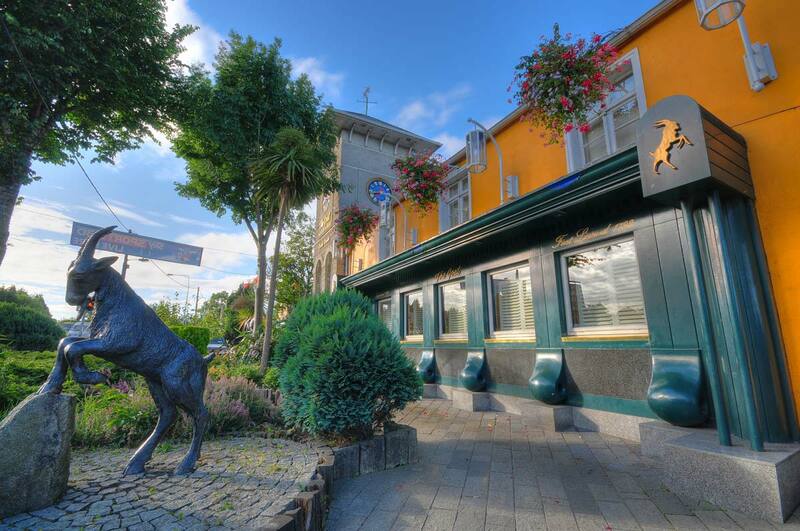 The Goat Bar & Grill located at Goatstown Cross is a landmark pub located in the well known Goatstown area of South Dublin. 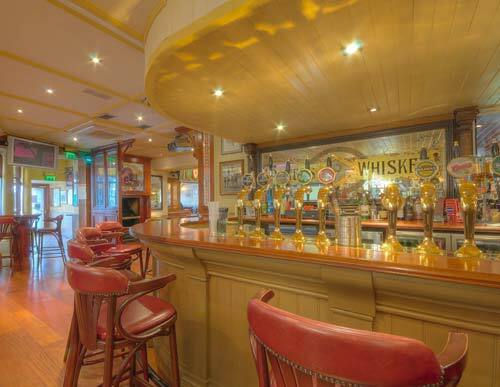 It is a fine traditional bar with beautifully appointed lounges and function rooms which has been extensively renovated over the years to provide our patrons with a superior atmosphere and exceptional facilities. Most recently we have added a fantastic beer garden area which has proven very popular with customers who like to dine and drink outside, this beer garden is bright, airy and cool during the summer months and we have added high tech heating systems to protect from the cold in the winter months. In the past The Goat was predominantly known as ‘Dublin’s Sporting Pub,’ as The Goat was the first major Dublin pub to screen all of the sporting events for our patrons. This tradition continues today, however, those ‘long ago remembered’ grainy projector screens have now been replaced with state of the art, high definition LCD TV screens (with surround sound) and they show all of the major sporting events, such as 6 Nations Rugby, Premier League Football, Golf, Boxing, Athletics, GAA etc. 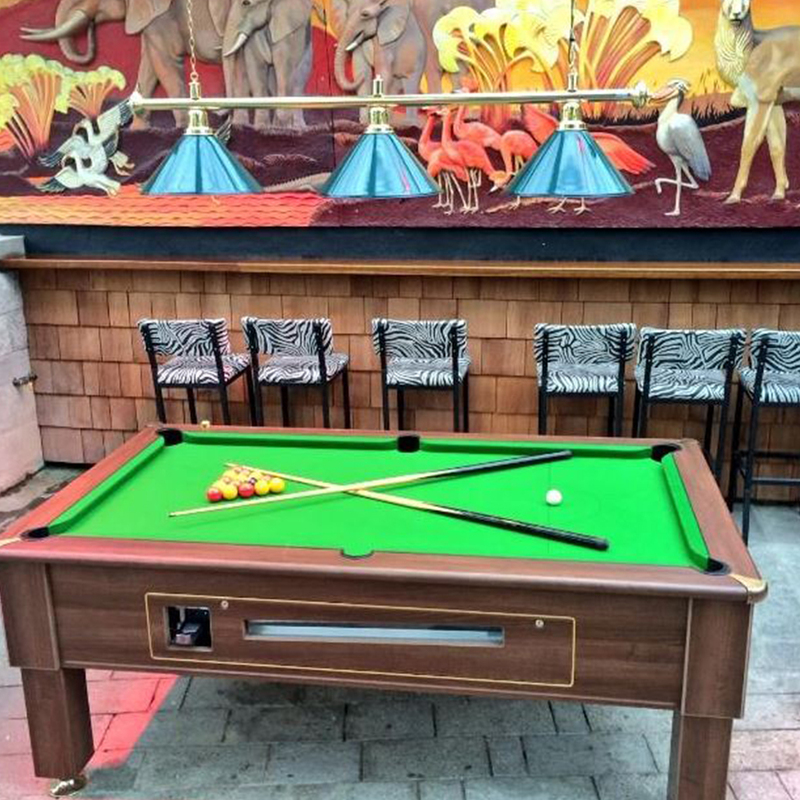 – during a ‘Dubs’ match the atmosphere at The Goat is second to none, and in March every year The Cheltenham Racing Festival at The Goat is a pure thoroughbred! If you haven’t been yet then you really have been missing out. Aside from sport The Goat is also now just as renowned for its very fine food, drink and faultless customer service. With a relaxed and comfortable atmosphere, The Goat features an appetite whetting, extensive menu. Family lunch is a must and is served seven days a week. Also available is a tempting breakfast menu which is served daily from 9am to twelve noon, our daily lunch menu served from 12pm to 3pm followed by our delicious a la carte evening menu which is served until 9.30pm daily. With fully waited service for breakfast, lunch and dinner, our hungry visitors can rest assured of receiving the best of attention at all times. 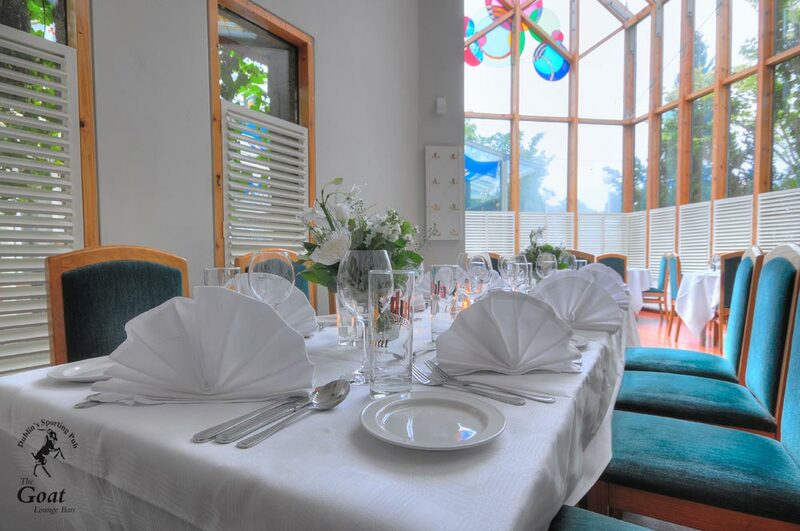 As far as functions are concerned our well appointed function rooms (The Anvil Room & The Drumaville Suite) can cater for all of our customer’s needs and our team of chefs can tailor our menus to provide for specific tastes, requirements and budget. We can provide sit down meals for lunch or dinner or we can offer a less formal finger food or buffet style menu – the choice is yours! We have a large private customer car park and are close to the LUAS Green Line, local Bus Routes and not far from the M50 motorway so we are easily accessible for all to enjoy especially if your guests are travelling from all over Dublin or the county. We love our music here at The Goat and we play host to a broad range of LIVE Bands every Saturday night. One of our particular favourites is the Johnny Cash “Walk the Line” tribute band, their show is one of the best loved shows around, if you haven’t seen them yet then check our ‘Events’ page to see when we are hosting them next, or follow us on Facebook and Twitter to keep your finger on the pulse of The Goat’s music scene! Whatever might be the reason for your visit, The Goat’s dedicated staff is there to assist our customers in any way in order to ensure that you have the best possible experience during your time with us regardless of whether its for a cup of coffee or a full scale wedding banquet. We look forward to welcoming you soon. Acquired by Charlie Chawke in 1982 The Goat Bar & Grill showcases a wealth of collected memorabilia across a broad range of all sports. 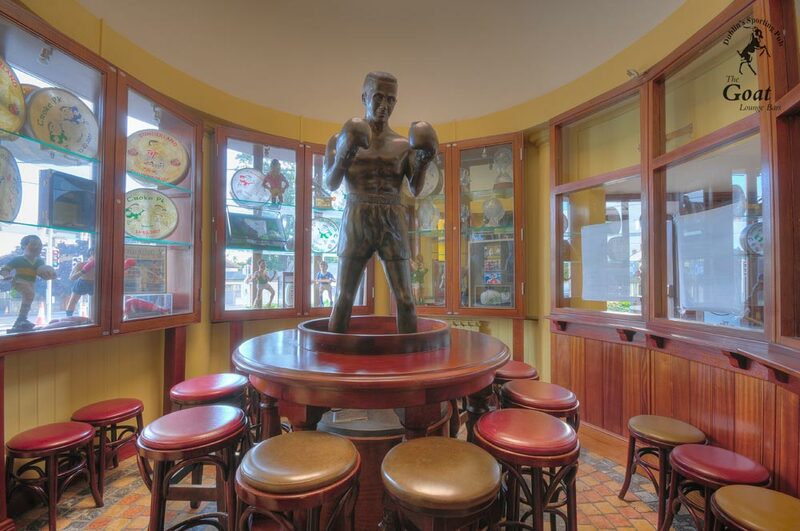 Highlights include the great ex Republic of Ireland National Football Team Manager, Jack Charlton’s famous tweed cap, superior pictures capturing many Irish sporting triumphs at home and abroad and statues of famous sportsmen. True to its name, The Goat played home to a real goat, Gertie, who acted as a mascot and delighted in keeping visitors entertained. She even had three kids (Dinny, Miley and Biddy) and was part of the surroundings until 1983 when she was released into the wild around the Dublin Mountains. She is still fondly remembered by the owner, staff and visitors and her memory endures through the bronze statue of a Goat that now stands outside the pub. 2014 © Chawke Pub Group All Rights Reserved.